What is the future of SMS and USSD in Africa? The mass adoption of services such as Viber and WhatsApp has had a hard knock-on effect on telecom companies across the continent. Safaricom and Airtel Africa have recently called for such services to be regulated, since users can send unlimited messages, eating up their SMS revenue. While others say that text messaging and other legacy technologies are dead, there is a renaissance of them especially in Africa. Slow uptake of internet services across rural Africa has forced many users to still depend on technology such as text messaging and Unstructured Supplementary Service Data (USSD). Inasmuch as developers would like to unleash their cutting edge mobile software to everyone, feature phones and data-less handset will force developers to think of simple solutions that can include everyone. “Although the numbers are rising fast, mobile broadband penetration in Africa or Southern Asia is still well below 30%, smartphone adoption is just reaching 25%,” a report from GSMA titled APIs: A bridge between mobile operators and start-ups in emerging markets, said. A clear example is mobile money where a mix of SMS and USSD is needed to finish the transaction. No internet is needed which makes the service accessible to virtually everyone. Many companies have had to condense their ideas to a simple data-less interface to reach the masses in Africa. LittleCab an Uber competitor in Nairobi and backed by Safaricom, has introduced the USSD interface so that people can hail cabs without the need of data. This will bring in more users according to Craft Silicon the pioneers of the service. Eneza Education an M-Education application heavily relies on USSD and SMS to deliver content to students across 11 countries in Africa. The application has over 1.1 million users, spanning Kenya, Tanzania, Rwanda, Ghana, Zambia, South Africa, Liberia, Malawi, Nigeria, Benin and Iraq. Much publicised Refunite, is using USSD to connect refugees back to their families in war torn areas. Although it has a web interface, the legacy technology has little barrier to entry. Since these legacy technologies are ultimately owned by telecom services, their access is restricted and they can only be achieved through APIs, as opposed to OTT services that can be launched without licensing headaches. The popularity of SMS and USSD cannot be overstated. “Research and feedback from startups and developers in our networks both clearly show that today, the most useful local operator APIs are messaging (SMS, USSD), billing (direct operator billing), mobile money, and location APIs,” the GSMA report added. Graham Muhanga who is the Developer Outreach at Africa’s Talking, a Kenyan based development company helping developers integrate SMS and USSD in their apps, says that the technologies are still crucial to the African tech ecosystem. “SMS is importance for immediate notification when transacting. It is also important for immediate communication where there is no internet,” Muhanga tells IDG Connect. “SMS might now not be peer-to-peer anymore because of over the top products like Viber and WhatsApp, but it will be more used to machine-to-machine communication. It still has some uses, especially in Africa where internet penetration is still low,” he adds. “Mobile money is entirely riding on that [SMS and USSD],” because for most people it is simple, Muhanga says. Two factor authentication using SMS has also made it more of an enterprise channel rather than a communication product. Muhanga believes that it is harder to fake such communication, although not impossible. 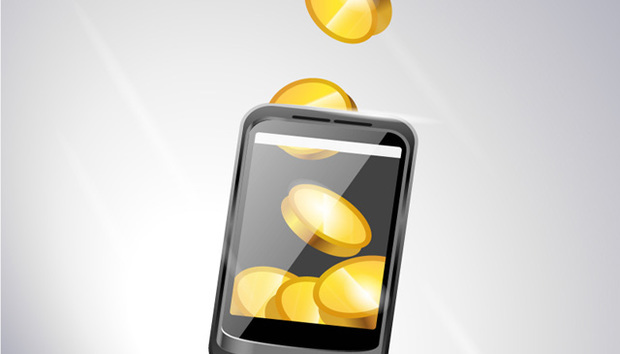 But the use of premium SMS as a way to bill or create revenue has not been embraced much. This is due to the fact that the revenue share is skewed to favour the telecom company rather than the content creator. In some cases the telecom and government taxes might take 80% of the premium SMS revenue. Given a chance, premium SMS could be another avenue for billing that could work for the continent. For Muhanga most developers don’t know how to innovate around USSD and SMS, and this could be useful to open up the use of these technologies. With USSD users do not store any data on their handsets. This is quite secure in terms of mobile banking transactions that rely on the technology. “You can get sensitive messages like in health or financials that you do not want to store in your phone,” Muhanga explains. Even in the face of OTT services, SMS is not dead. According to the Communication Authority of Kenya (CA), more mobile phone subscribers use text messaging. In its quarterly report for the year 2015 to 2016 ending June this year, there was almost double the number of SMS’s used. “The total number of Short Messaging Service (SMS) sent during the quarter increased significantly to 11.6 billion messages from 6.5 billion registered last quarter,” the CA report said. “This growth was as a result of the Create Your Plan Bundles SMS tariff that was introduced by Safaricom Limited during the period under review. This tariff allows the operator’s customers to send as many as 50 messages per day for only Ksh.10 (US$0.01),” the report said. The overall volume of SMS sent throughout the year grew significantly to 31.3 billion up from 26.1 billion messages sent during the previous year. Sector players need to ensure that the integrity of text messaging is not weakened. Muhanga said that this will have to be done by having strict rules on spamming and authenticating SMS in all telecom companies. That will ensure that services such as mobile money still grow with low fraud levels and other services can also be built on top of these legacy technologies. « How Australia is creating its "quantum ecosystem"